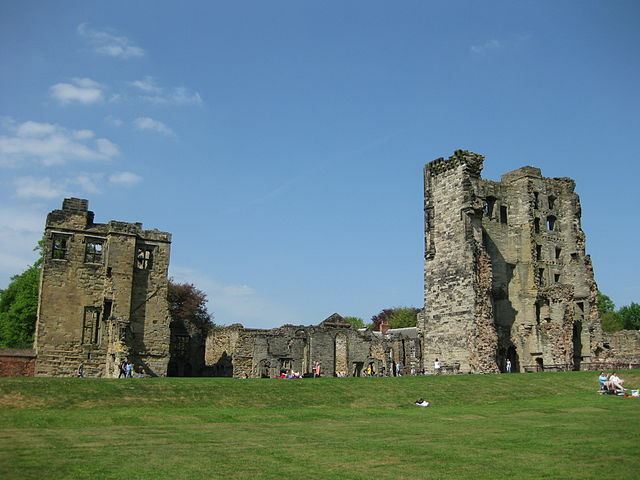 Notes: Ashby de la Zouch Castle is in the town of Ashby de la Zouch, Leicestershire, England (grid reference SK36061659). The ruins have been designated by English Heritage as a Grade I listed building, and they are a Scheduled Ancient Monument. It is managed by English Heritage. The castle is a popular tourist attraction, managed by English Heritage. The ruins have for the large part been stabilised from further deterioration, and the grounds are all laid to grass. It is possible to climb to the top of the Hastings tower (there are 98 steps), and to explore the underground passage from the kitchen basements to the Hastings tower, which was probably created during the Civil War. "Ashby de la Zouch Castle"